Congrats! You have successfully graduated from high school and you are about to start college. You are nervous as you think about the new environment you are going to be exposed to with new friends, new responsibilities, and new opportunities. This will be your home for the next few years, but are you ready? Don’t worry. At SUNY’s 64 colleges and universities, there are thousands of opportunities to learn, practice, and grow. Some of you have had a summer orientation session already, and others are just preparing for welcome weekend when you move in to your campus residence. 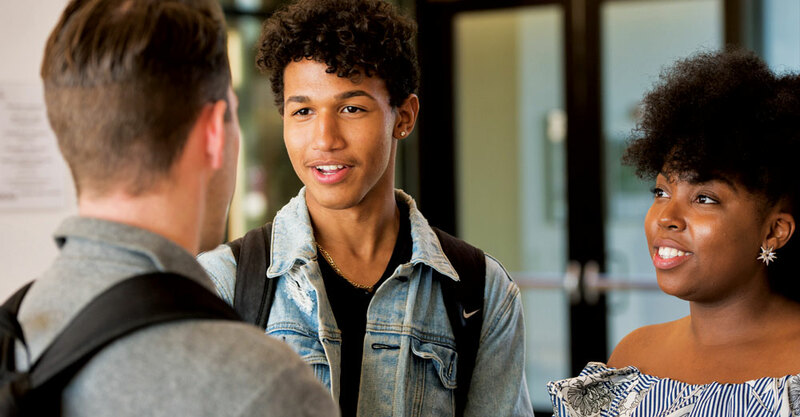 Before you get there, we have some tips on how you can make the transition from high school to college easy and less stressful as you embark on this new journey. Transitioning from high school to college can be hard. Friends that you made in high school may be going to different schools, but don’t worry, that’s just how life goes. You will be in a new environment, but don’t fret. Step out of your comfort zone! Just making one or two friends to join you in the first few weeks may completely change your experience during college. In order to step out of your comfort zone, join clubs and organizations that interest you. Freshmen year is when nobody knows anyone, and it’s the best time to get closer to people in your class so you can have them with you during the next few years. 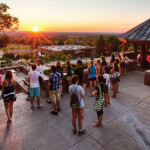 Many of our SUNY Schools offer LLCs, also known as Living Learning Communities. This is a first year program that is offered to students in which you can live and take classes with other classmates with similar interests as you. SUNY Oneonta, University at Albany, and SUNY New Paltz are just a few of our many schools that offer this program to freshmen students. You will have the opportunity to be with colleagues that share the same interests as you and get a chance to be closer with the community you will be living with. It’s okay to go out to social mixers to enjoy yourself and have fun. However, be responsible. Social mixers/parties happen often, and sometimes you might get carried away and spend too much time hanging out with friends, instead of using that time to finish school work. Extracurriculars are great ways to make friends and follow your passions, but they can take up a lot of time too. There are lots of interesting clubs and options out there. So before committing yourself to a club make sure you know the commitment involved and have time to balance your school life with your social life. You can accomplish both with proper planning. Remember that missing a few days of class to recover from an overly ambitious social life will set you back. If you are always out and then use up the rest of your time to study, that lack of sleep can lead to poor academic performance and your health may deteriorate. Before you go to college, you don’t need to have your life plan set out. (It is great if you do have one planned though). Sometimes your curriculum is not what you think it was going to be and you find yourself disliking courses. 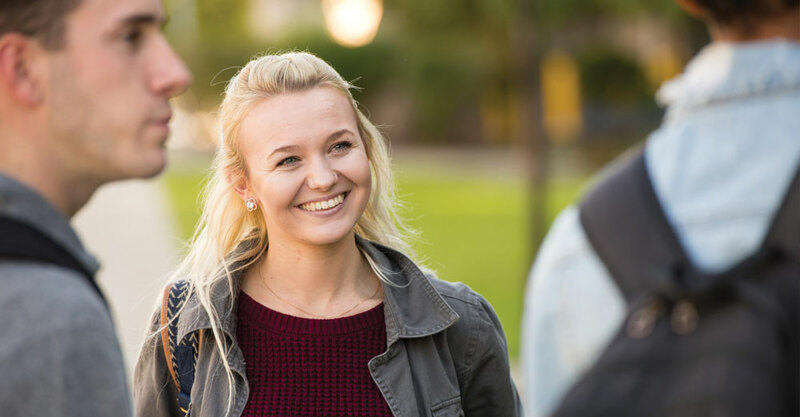 Take advantage of your time during the first and second year and take electives that you may be slightly interested in to form your future path of study. SUNY offers a variety of interesting classes and electives, ranging from theater or philosophy classes to technology courses. Another rookie mistake is with health and nutrition. Many new students will find themselves eating too much at the school buffets due to a meal plan. Freshmen 15 or even worse, Freshmen 20 is a real. A big snack session or fast-food binge is ok every now and then. But students should keep your food intake in control to maintain good health and energy through the year. All of our SUNY schools take into consideration the wellness of our students. At most SUNY schools such as Geneseo, gluten free, vegetarian and fresh options are available around campus all year round! The level of studying at college will be different, and more concentrated, than high school. The resources needed to get through this vary quite a bit. From text books to computers and equipment, having what you need to get through your classes is important, but can be difficult to obtain and manage. Just know that there are ways to get help with them. Don’t rush to buy your textbooks before the first day of classes. First find out whether your textbooks are needed for the class. Many professors have a textbook that is required on their syllabus, however sometimes you will not use the textbook during the course of your semester. If they are, there are ways to save money on them by using used textbooks, or the growing number of Open Educational Resources, which can be free or heavily discounted, provided by SUNY. Also, be sure to take advantage of a professor’s office hours. Chances are, if you are looking for ways to improve your grade, going to office hours is one of the suggestions always listed and can help you get the inside track on how to succeed in class. Your Freshmen year GPA can set the building blocks for the rest of college. If you don’t do well your freshmen year, you will need to work even harder in the following years to keep your grades up and stay on schedule for a timely graduation. Procrastination is an incredibly hard habit to break. Projects and papers in college take time and energy. Be on top of your game by writing your schedule out in a planner. Also, don’t forget to go to class! It is easy to just skip a few classes when you may be tired. However, the classes you are missing are also a part of your college tuition. It is your responsibility to go to classes and absorb the information that is offered. When you are in class, sit in the front. Sitting in the front and participating will put you closer to the action and keep you engaged, while also bringing you closer to the professor. If you are behind in your classes and need some help, you can take advantage of student tutoring programs where your peers can assist you to be academically successful. 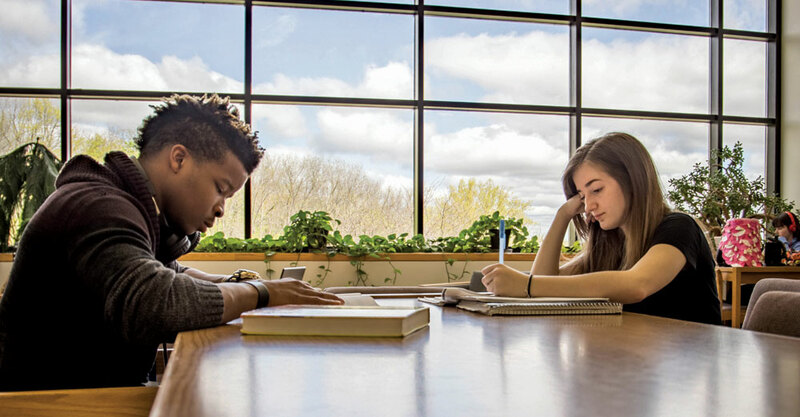 Some of our colleges and universities across New York have teamed up to provide STAR-NY (Sharing Technology and Academic Resources), in which you can get help with your academics online in schools across the state. Besides student tutoring, making study groups with peers from your classes will not only help form connections but also be beneficial for you before taking exams. We go to college to follow our interests and develop our abilities. Just because you may not be doing well in one class doesn’t mean it is the end of the world. Figure out your goals and work towards them. Write lists of what you want to accomplish in the next few semesters and attack each one little by little. And have fun doing it! You’re about to take your first step into your future. Make it count. Tiffanie is a Social Media Assistant Intern at SUNY System Administration. She is a senior at SUNY Albany double-majoring in Psychology and Communications. Don’t forget another big transition tip for college. Associate only with those that are serious about their education and in it for the duration. Oh another tip … join a club!